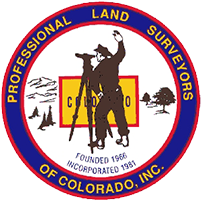 We have been providing professional land surveying services in Colorado for more than 38 years. Surveying is our passion and quality is our signature. Come see what we have to offer. Call us at 303-420-4788 to get a free estimate for your project. Here at R.E. Port Land Surveying we treat all of our clients like family. We are a family owned company that strives to provide quality surveying services at an affordable price. Every job, large or small, is very important to us. We work with several realtors, title companies, banks, home and business owners, construction companies, and mortgage companies throughout Colorado. Our attention to detail, responsive communication, and commitment to personal service has helped foster our ability to maintain an ever increasing list of repeat clients. We guaranty fast, friendly, and reliable service. R.E. Port & Associates, Inc. has actively been in business since 1978. Throughout the last 38 years we have compiled one of the largest libraries in the state, containing over 300,000 survey records. Denver and the surrounding counties are where we have performed the majority of our surveys. Our roots are buried deep within the Front Range community and we plan on growing and serving Colorado for years to come. We are determined to live up to the highest level of clientele expectations. After all, your satisfaction is our future. Since we do not sub-contract any work, we can promise that every survey is performed by a licensed professional. Our field crews and draftsmen are well educated in all aspects of land surveying and boundary law.